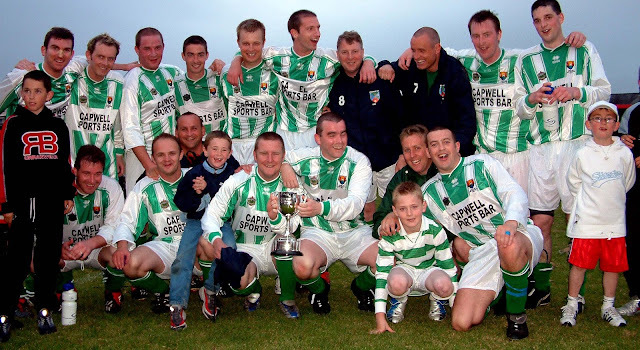 Premier League: Macroom 1 Knockavilla Celtic 3; Kinsale 0 Park Utd 1; Greenwood 0 Coachford 1; Killumney Utd 0 Wilton Utd 0. Premier A League: Grattan Utd 0 Castleview 5; Leeds 0 Carrigtwohill Utd 1. AUL 1: Fairview 6 Watergrasshill Utd 0; Buttevant 0 Glen Celtic 5. AUL 1A: Donoughmore Ath 2 Innishvilla 5; Greenmount Rangers 2 Glenvale 1; Dunbar Celtic 0 Rathcoole Rovers 2; Richmond 6 UCC 0; Grangevale 3 Millstreet Celtic 1; Douglas Hall v Glenthorn Celtic (off). AUL 2A: Central Rovers 0 Springfield 2; Leeview Ath 1 St John Boscos 5; Wilton Utd v Hibernians (off). AUL 3B: Lakewood Ath 5 Los Zarcos 0; Coachford 3 Newmarket 3; St John Boscos 6 Parkview Celtic 0; Innishvilla 6 Passage 3.